I have a riddle for you. What do you call a weekend that includes an emergency and an elderly parent, an eight hundred mile drive, visits with the author Russell Olsen, the charismatic and inspirational Dan Rice on Santa Monica Pier, and Jay Leno, two book signings, the discovery of a delightful secret hideaway in the mountains near the L.A. basin, ghost towns in the Mojave Desert, and an emergency at the office that results in the cancellation of a scheduled day off that in turn results in the cancellation of appointments and the possible delay of meeting a deadline? Well, I don’t know what you call it but in my world its simply situation normal. Santa Monica Pier, our west coast destination. As is often the case the trip to California started simple enough; setting a date, moving the date to coordinate schedules, and then the making of arrangements. These issues were mostly resolved by the first of last week leaving only eager anticipation of an adventure to the land of sun, fun, and epic scale traffic congestion with a good friend, Chris Durkin, and my son. The first bump in the road came on Monday evening. My mother’s accident the previous Friday resulted in complications that required moving her from the hospital into a therapy center which interprets into miles of paper work and a conflicting array of arrangements. All of this was complicated by the stubbornness that has enabled mother to make it to 84 years of age. A full work schedule necessitated all these details be handled in the evening or during lunch. An additional restriction on time available were the plans my dearest friend and I had made for the celebration of our 27Th anniversary. Friday evening was a very welcome respite to the very long and harried week. My dearest friend had prepared a wonderful dinner and for desert we sat on the porch under a desert sky and reflected on an amazing 27 years. Then for the final act of the day the Jeep was loaded for the impending journey. On Saturday morning at 4:00 the three musketeers (Chris, my son, and I) set out on the long anticipated adventure by heading west on I40. Drowsy induced laughter set the stage for the morning as we rolled toward the raw looking Bristol Mountains tinged with the first rays of the morning sun. We refueled the Jeep and fortified ourselves with caffeine in Barstow and joined the herd headed south into the L.A. basin. Even though traffic was deemed “light” by the standards of those who drive through this mad house on a daily basis by the time the crest of the Cajon Pass was fading from view in the rear view mirror the pleasure of driving was replaced with grim determination and steely focus induced by the combat that is driving the freeways of southern California. at your local book store? 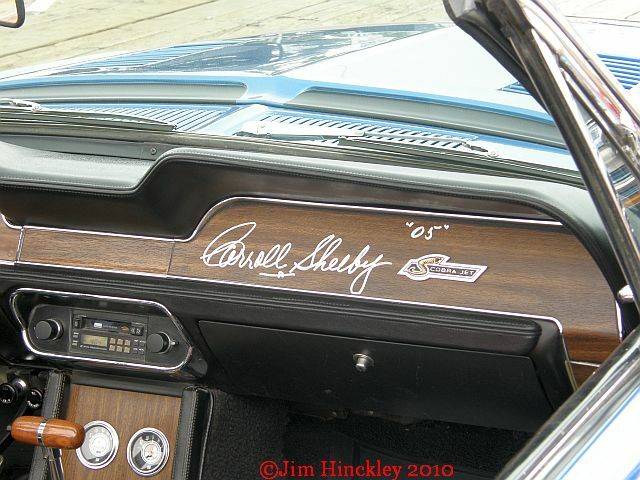 Still, miraculously we arrived at Auto Books – Aero Books in Burbank unscathed and in stepping from the Jeep, and prying my fingers from the steering wheel, the tension was quickly replaced by eager anticipation. A visit to this store, recently relocated six blocks to the east of the original store, on Saturday morning is a mind numbing sensory overload for the automotive enthusiast. 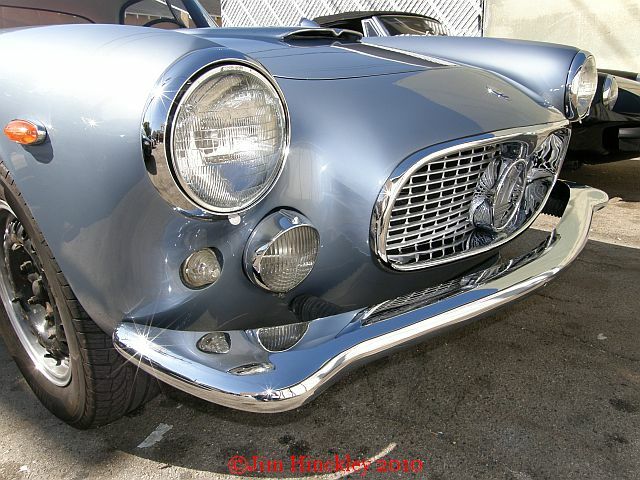 A dizzying array of books and magazines, new and old, fresh pastries, great coffee, and an endless stream of vintage automobiles whose owners cruise in to visit with friends over treats, talk cars, or shop for books, can easily consume a full day. This Saturday was no exception. A French twist to the Saturday morning in Burbank. To have your vehicle stand out when the cars that stop and go throughout the morning include representatives from manufacturers such as Jaguar, Packard, Auburn, and Lamborghini is nothing short of amazing. 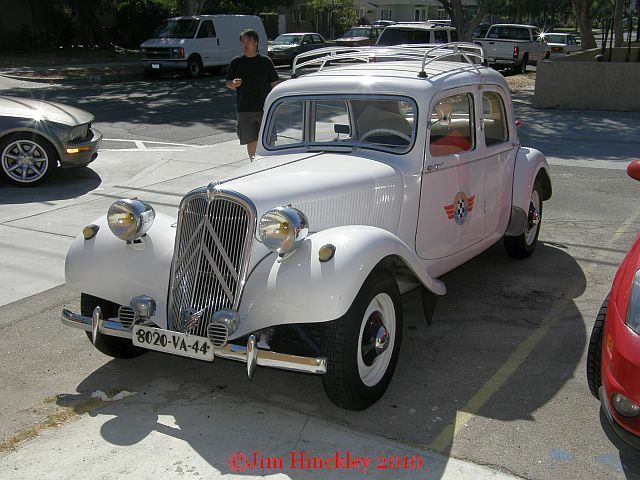 This Saturday there were three notables; a 1962 Maserati, a 1930s Citroen, and a very, very rare Doble “steamer”. The catalyst for our visit to this little corner of automotive heaven was to meet with Russell Olsen, author of Route 66 Lost and Found, and discuss use of his images for the current project, a Route 66 encyclopedia, to purchase some books for research, and to sign a few books. 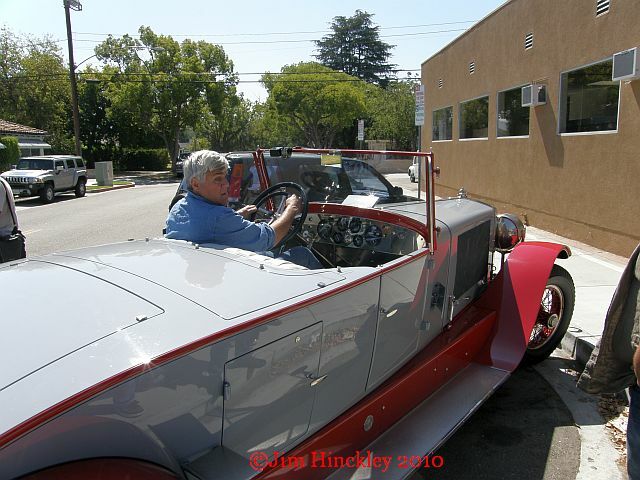 I was also hoping that my short notice of the pending trip did not prevent Jay Leno from stopping by so we could further discuss an interview for his http://rcm.amazon.com/e/cm?t=1968adventurer&o=1&p=8&l=bpl&asins=0760334927&fc1=000000&IS2=1&lt1=_blank&m=amazon&lc1=0000FF&bc1=000000&bg1=FFFFFF&f=ifrwebsite. All went according to plan and by noon we were back into combat mode on the freeway heading fro the next stop, a visit with Dan Rice on Santa Monica Pier. We followed the 405 south to Santa Monica Boulevard and then rolled west through ever thickening crowds under increasingly dark clouds. With the added trauma of finding a parking place behind us we walked through the solemn 9-11 display on the beach, and wove our way through the swarming crowds on the pier with its endless array of side shows featuring colorful and talented jugglers, dancers, musicians, and mimes. The weather was in stark contrast to that of Burbank where it had been sunny and about eighty degrees. On the pier it was cloudy, breezy and the temperatures hovered in the 50s, a dramatic transition that had me silently thanking the good Lord for my wife’s preparations that included packing a sweater. Unduanted, we found a great place for lunch, Rusty’s, with its sidewalk heaters and Plexiglas wind break, and savored a better than average meal with a price to match enhanced by camaraderie and the colorful parade that ebbed and flowed past our perch. 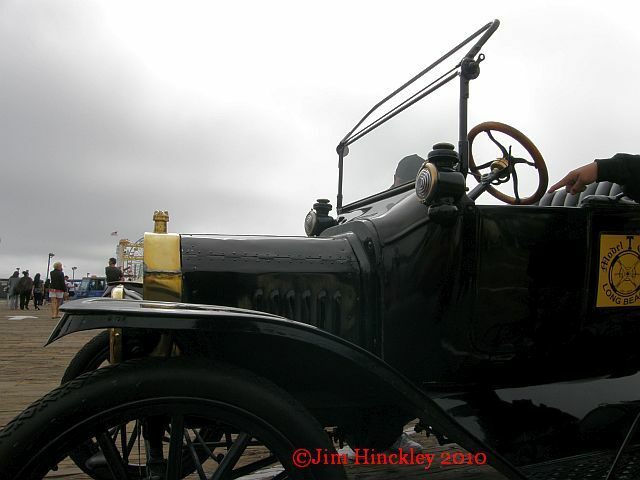 Then the parade of humanity parade and a stream of vintage Ford muscle flowed past our table. By the time the third Cobra rolled past our front row seat we had polished off the lunch and joined the herd headed for the spectacle of a stunning auto show on the pier. A daily driven 1915 Ford. In awe struck silence at the display of vintage horsepower we wandered amongst these thundering ponies and their stable mates. As at the book store in Burbank, having a vehicle stand out in a sea of vintage Mustangs, Panterras, Cobras, and Thunderbolts is no easy task but one lone owner, representing the Automobile Driving Museum in El Segundo, succeeded quiet nicely with his well worn, often driven 1915 Ford Model T! After the slight detour through this time capsule of Ford muscle we sought out Dan Rice by weaving our way through the arcade and rides. The passion Dan has for Route 66 and life in general is quickly becoming legendary on the old double six. I learned on our visit it is infectious as well as inspirational. He has written a book about the amazing adventure that took him from pursuing a career and degree in physchology to a Route 66 kiosk on legendary Santa Monica Pier. It is with eager anticipation I await its release. 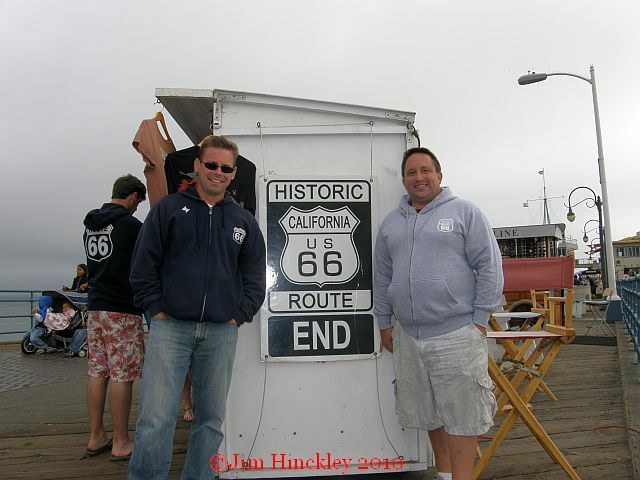 Dan Rice and Chris Durkin on Santa Monica Pier. The time flew as we ignited the imagination with discussions about the future of Route 66, ways we can ensure it survives for a new generation, and tales of driving the legendary highway. 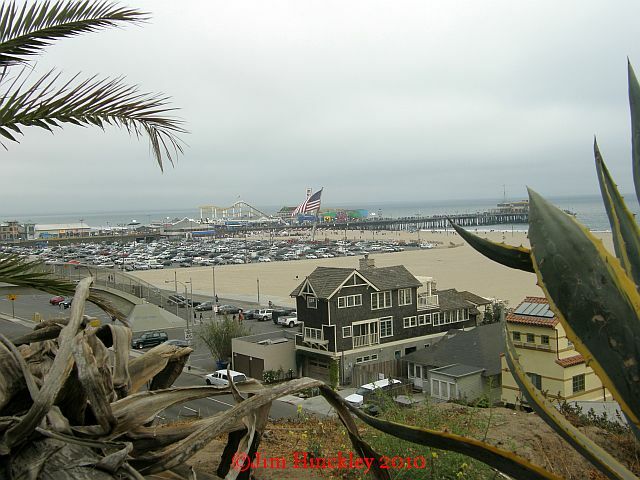 It was with reluctance, after an almost three hour visit, that we bade farewell and headed for the Will Rogers monument in Palisades Park overlooking the pier, the beach, the colorful beach houses, and the somber 9-11 display. drive it from Chicago to Santa Monica. 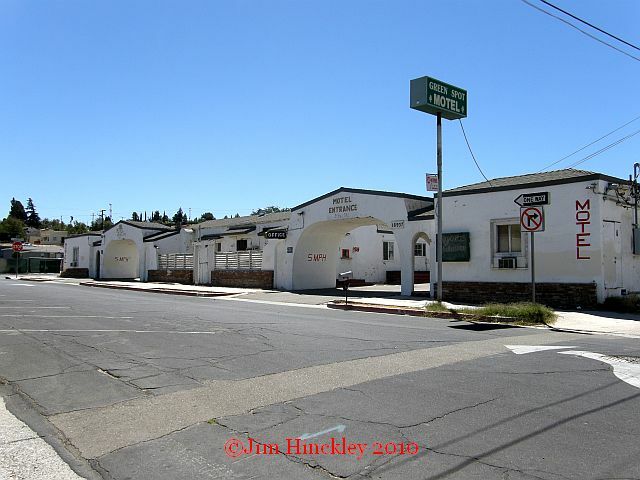 To avoid breaking the bank I had made reservations for the evening in Hesperia, a drive of about 100 miles. I could feel the weariness of the long day settling into my bones as we left the pier and eased our way into the worst traffic I had yet encountered. From Santa Monica to Burbank the traffic moved with the speed of molasses on a cold winters morning. Then from Burbank to the crest of Cajon Pass it was eight lanes of brake and nerve testing in a veritable sea of automobiles that spanned eight and six lanes of asphalt and concrete. But, we survived and the Jeep carried no new battle scars. With dinner, a cold beer, and a comfortable bed, the day ended almost as it had began – under a starry desert sky with drowsy induced laughter. On Sunday we set out on a voyage of discovery to meet with Kris and Hank Hallmark in Wrightwood. The food and conversation were wonderful but it was the discovery of this treasure amongst the pines that consumed my attention. What a delightful little gem! If I were to have but one regret it would be that my dearest friend wasn’t there to share it with. Rest assured, I will rectify that quite soon! From Wrightwood we rolled into Victorville, sought the tarnished glory of the historic Green Spot Motel, a former hideaway for the rich and famous of Hollywood, picked up Route 66, crossed the Mojave River on the picturesque 1930 steel truss bridge east of town, and then slipped past the ghosts that line the highway as silent sentinels guarding the secrets of the pregeneric age in Oro Grande. 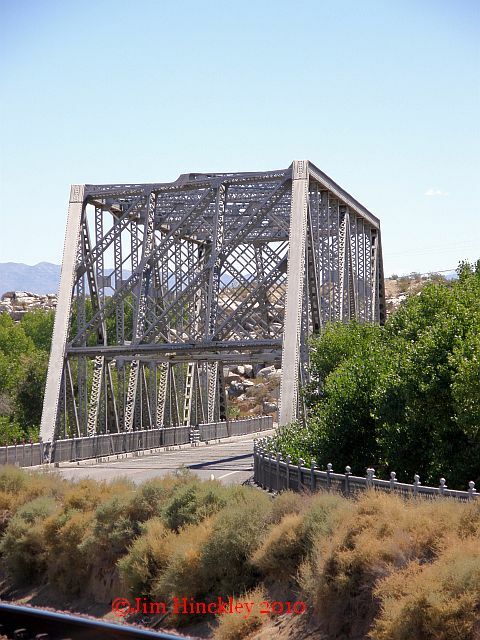 The destination on this leg of our adventure was the railroad museum and Route 66 Mother Road Museum in the lovingly refurbished Casa del Desierto, a former Harvey House, in Barstow. As always our visit was a delightful one. Debra Holden, our host and the passionate caretaker of this jewel in the desert, exemplifies the passion of those entrusted with keeping the memory of legendary Route 66 alive. The long shadows hinted that the day was rapidly getting away from us and there were still miles of road ahead as well as sites to photograph. 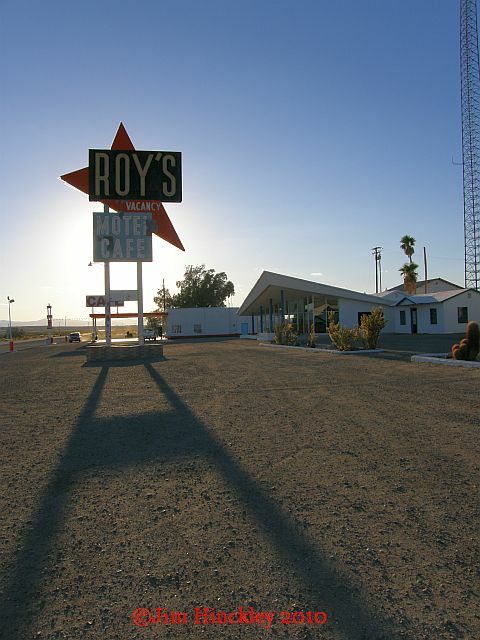 So, we bid adios to Debra, her husband, and the staff at the museum, drove into Barstow, and stocked up on the necessary supplies for a dinner somewhere in the desert along legendary 66. This last stage of the adventure had a two fold purpose, in addition to simply savoring the last hours of a great weekend, playing tour guide for Chris’s first journey along this storied highway in California, and photographs for a forthcoming series of prints to accompany the release of Ghost Towns of Route 66 next spring. With that as a simple goal we jumped from the present into the past at Daggett, stopped at the market that has met the needs of the community for the past century, and found us a quiet, shady place on the steps of the historic Daggett Garage for dinner. I should note that at this time a detour resultant of construction necessitates a drive through Daggett but this provides Route 66 travelers a peek into an often overlooked secret. I love driving this section of the old road with its ghosts set against backdrops of sun burnt and time twisted stone. Perhaps the only thing I enjoy more than driving this ribbon of broken asphalt is introducing the uninitiated to its charms. That just might be why I derive such pleasure from writing. We cruised past the gawking tourists that swarmed on the Bagdad Cafe in Newberry Springs like ants on spilt honey and stopped to photograph the old Whiting Brothers station with is fast fading sign. 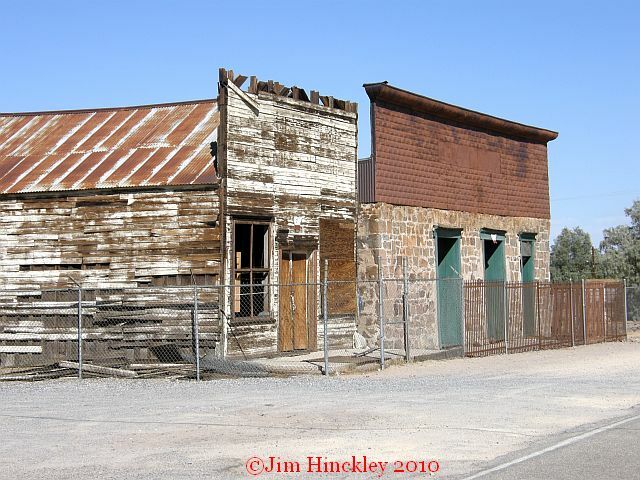 There was a time when stations of this chain were a common site throughout the southwest but now only one remains in operation in Moriarty, New Mexico. In Ludlow we sought Main Street lined with cracked sidewalks that frame weed and broken glass strewn vacant lots shadowed by the towering ruins of the Murphy Brothers store. Even the most vivid imagination would be put to the test to see a thriving community in this desolate landscape. As the sun was sinking into the west, I skipped the site of Bagdad and its cemetery, and instead introduced Chris to the metropolis of Amboy. I regaled him with tales of the Bender Garage, the establishment of Roys, and the frustration induced destruction of a man named Burris that accomplished what a half century of blistering sun couldn’t do. From Amboy we continued east past the silent edifices in Chambless and Danby as the shadows lengthened, crested Cadiz Summit with its ruins colorfully desecrated by modern hordes of Vandals, and stopped to savor a stunning sunset near Essex, the last community in America to obtain the modern blessing of television in 1977. As the rocky ramparts of the Cady Mountains severed the last rays of the days sun, I pointed out the forgotten well that was once so important to motorist on the National Old Trails Highwway, and then set our sites on home. Silence and deep thoughts tinged with the faintest hint of exhaustion dogged the last miles across the Sacramento Valley and the foothills of the Cerbat Mountains. As the odometer slowly ticked off the miles an eagerness to again see my dearest friend drove away the regret that a wonderful weekend was drawing to a close. This morning reality in the form of a phone call from the office informing me that as a result of an emergency, my day off was now void intruded on the warm dreaminess that accompanies a successful adventure. And before leaving the house the second shoe fell, another call informing me that if mother was not happy with her new surroundings then nobody else should be happy with theirs. It looks as though it will be a week of grand adventure even though it my not be the type that I would choose if the option presented itself. Still, the carrot at the end of the stick is Chillin on Beale Street with its cars, music, and the presentation of a prerelease copy of Greetings from Route 66 signed by Russell Olsen and yours truly. Isn’t life a grand adventure?